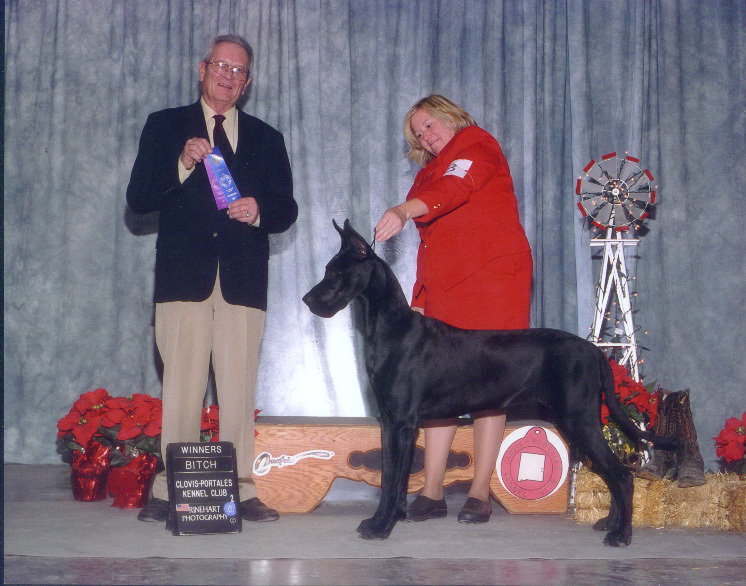 "Ace" Am/BIS Int'l/Nat'l CH Colras An Ace in the Hole. 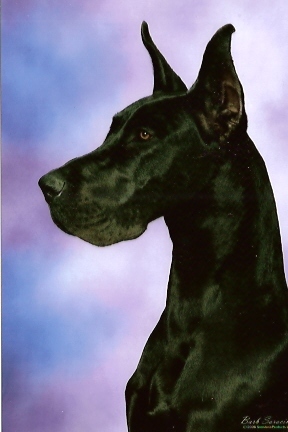 Raven has 3 pts all from the 6-9 class. 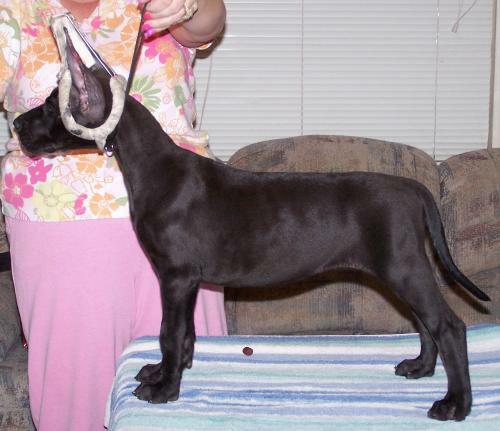 She also has a BOS, a major reserve and numerous reserves. 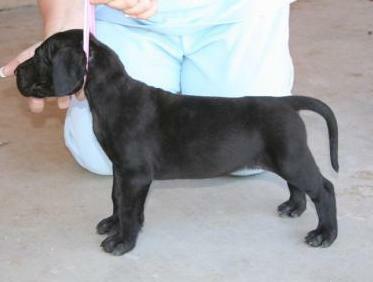 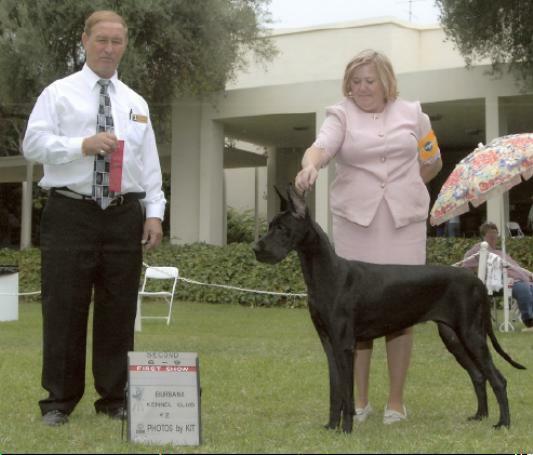 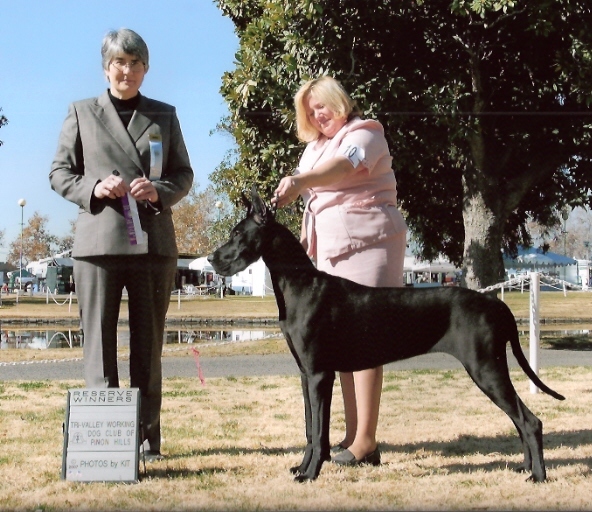 Raven took Best in Match at the Great Dane Club of Las Veags under respected Breeder Sue Cates. 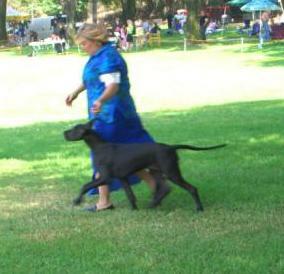 She also has another Best in Match at the Ventura Dog Fancies with over 150 dogs. 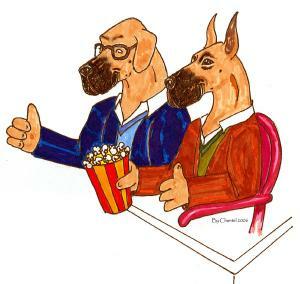 and enjoying a life of leisure. 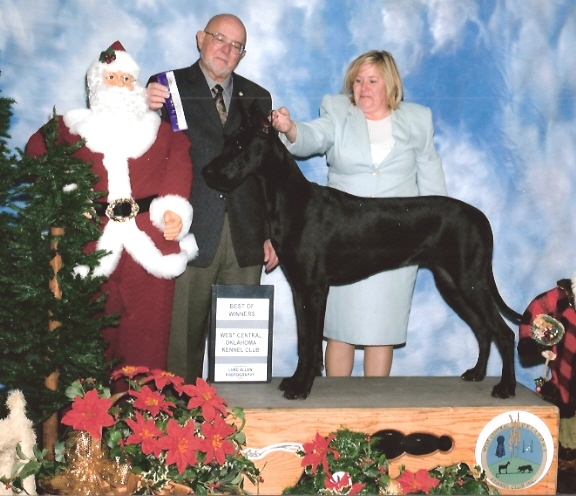 Raven is also a Juniors dog as well. 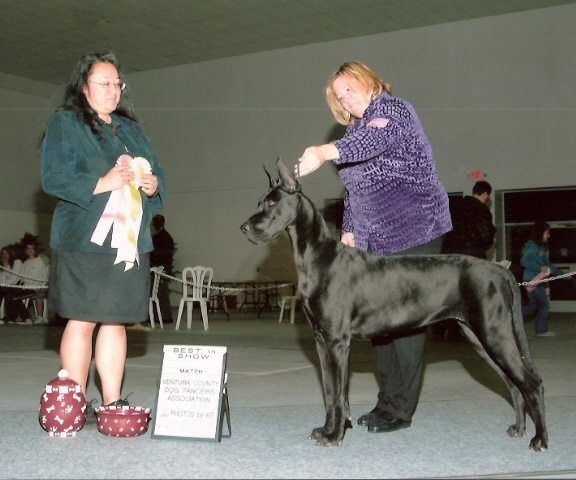 Megan and Samantha show her in UKC and IABCA. 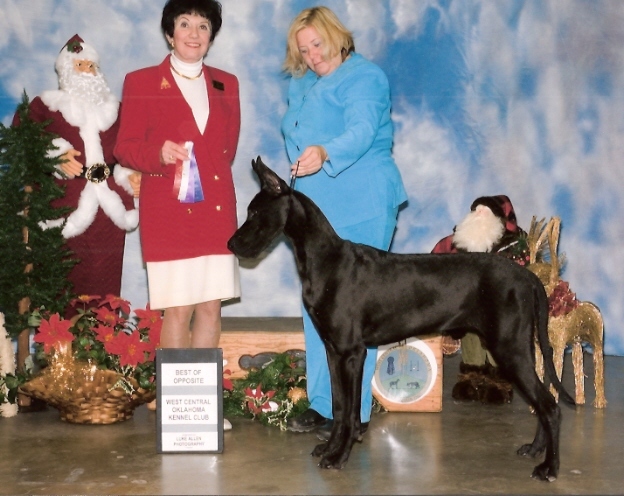 Samantha and Raven have 2 Best Junior Handler in Show.